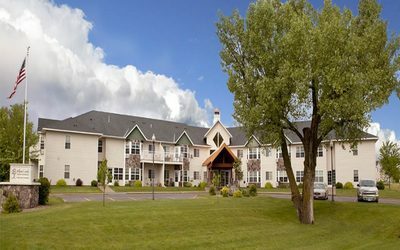 Willow Creek Senior Living Community is a 28-unit facility with 16 Assisted Living apartment homes and 12 Independent Living apartment homes. Assisted Living apartment services include meal plan, housekeeping and laundry service, 24-hour staffing, home and personal care assistance as desired, scheduled visits by on-site nurse, personalized home health care as desired, wellness clinic, appointment reminders and scheduled activities. Independent Living apartment features include spacious one or two bedroom floor plans with a patio or balcony, ample closet and storage space. Each unit has individually controlled heating and air conditioning. Other features are emergency call service, full kitchen area with appliances, washer and dryer and optional garage. Building amenities include community room with kitchen for private parties, recreation room with billiards table, big screen TV, computer area and internet access, beauty/barber shop, fitness center and elevator. Please call 548-6683 for a tour today! Visit Willow Creek Senior Living Community at www.willowcreekseniorliving.net.